The Fell Pony Society Display Team was formed in 2015 from a group of people who are prepared to take part in displays throughout the year, and to create costumes for themselves and their ponies. 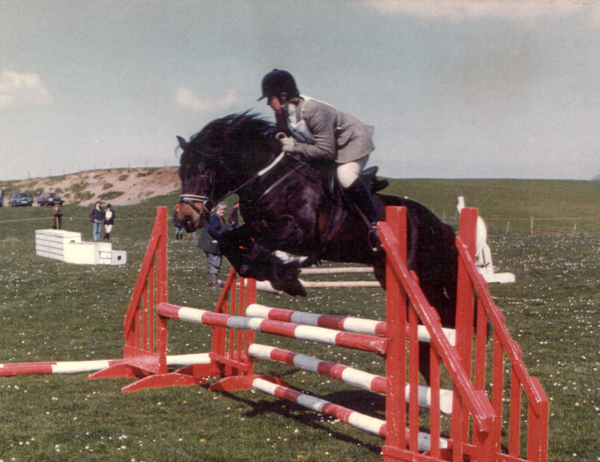 Merchandise and Information are available, with Fell-themed goods of interest to the general public and to children as well as to Fell pony enthusiasts. Countryfest, 1 & 2 June (TBC). 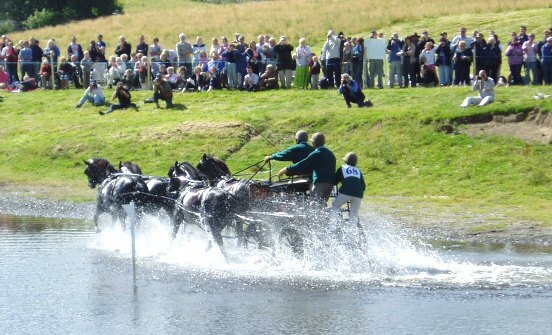 Lowther Show,	10 & 11 August (TBC). Coniston Country Fair, 21 July. Blackcombe Country Fair,	27 August. At these shows the team will re-present their educational historical pageant (whose content varies year on year depending on team members' availability) and the Musical Ride which was developed in 2018. A Judges Seminar will be held at World Horse Welfare Glenda Spooner Farm, Kingsdon, Somerton, Somerset TA11 7LA on Saturday 31st March 2018 - 10.30am to 4pm. The Dales Pony Society, The Dartmoor Pony Society, The Exmoor Pony Society, The Fell Pony Society and The New Forest Pony and Cattle Society have joined together to organise a judges seminar to refresh judges and other interested parties on breed type, characteristics and way of going in a ridden class. For some years now the Society has run a "Learning with Fells" scheme for our junior members. Participants are invited to visit working Fell pony studs in Cumbria to learn how the ponies are kept in their native area. These are active and intensive days and they are deliberately kept to very small numbers to enable all participants to ask questions freely and hear the answers given. Council have agreed that applications will be taken from adult as well as junior members. There will be 4 places plus 2 reserves. Priority will be given to those aged 10 – 18 years of age. PLACES ARE STILL AVAILABLE FOR THIS YEAR. If you are interested in taking part please get in touch with the FPS office. Email secretary@fellponysociety.org.uk or speak to Katherine at the AGM. There is a bursary, payable from the Mary & Henderson Dodd Memorial Fund, of £50 for each participant to assist with travelling expenses, provided at least two visits are attended. Again, apply to the Secretary, please. If you've thought of helping at a Society Show but don't know how, try this free day! It will be a practical day with ponies and a master judge, at which you can learn the behind-the-scenes skills of running a showing class. To discuss possible dates and venue please contact Christine Robinson (see our About the FPS page). In 2014 the Society formed a Young Persons' Group; they organise events for people of all ages who want	to	learn more	about Fell ponies. The committee are all aged 35 & under. For details of group activities please see the YPG page here or chat with them on	Facebook. The Society has a Conservation Grazing committee to promote the use of Fell ponies as native grazers of a managed landscape. The Fell Pony is a historic part of the Cumbrian countryside and well suited to conservation grazing, being easy to manage and inclined to stay away from people even though there may be public access to the land. For more information please contact Eileen Walker or	Christine Robinson (see our	About	the	FPS	page).